When we stepped back and looked at our achievements, it was obvious that now was the perfect time for us to freshen up our logo. And, it was a task we wanted to take on ourselves. It's trendy to hire brand consultants but we wanted our entire team involved in the process to create the ultimate representation for Global Healing Center. Although designing a logo isn't an easy task, we knew the logo needed to have a deep meaning in order to truly reflect who we are as a company. We drew our inspiration from an old and massive oak tree that is growing at our certified organic farm, Earth Harmony Organics. It's perfectly proportioned and is the type of natural beauty you only see on postcards. 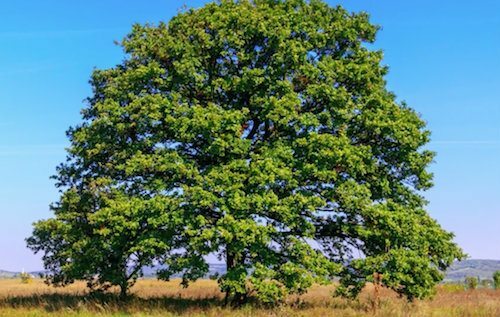 But more than being beautiful, oak trees have a natural bilateral symmetry; the deep, firmly planted roots typically mirror the expansive canopy. These qualities made it the ideal muse to inspire our design team and capture the essence of Global Healing Center. After Hundreds of Revisions… Our New Logo Was Born! "Global Healing Center has evolved a lot since we began in 1998 and today is an exciting milestone as we unveil our new logo. 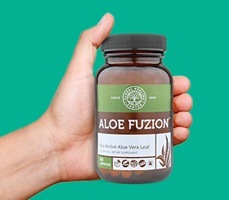 Our look may be new but our desire to provide natural health information and products to revolutionize your personal journey to better health and living is stronger than ever." "For us, growth doesn't mean losing the sense of smallness that has given us our reputation for quality. We're still a group of positive-minded people who treat our customers like family and, with humble hearts and open minds, we will continue to create positive change in the world!" 2016 will mark Global Healing Center's 18th year of operation and even though our look may have changed, our commitment to natural health and organic living remains firm. Our core values are still a deep devotion to quality, education, innovation, teamwork, and eco-friendly, sustainable practices. You can continue to expect the very best from Global Healing Center. We are also excited to announce that, over the next few months, we will be updating our online presence and redesigning our product labels with the new logo. A change like this involves many steps and will take time; we appreciate your patience and understanding. If you have any questions or concerns, please don't hesitate to contact us. Additionally, if you're a distributor or affiliate and have used the Global Healing Center logo in any of your marketing materials, please update. The post Global Healing Center Unveils New Logo appeared first on Dr. Group's Natural Health & Organic Living Blog.